Which illnesses are very dangerous for elephants? Elephant smallpox, tuberculosis and elephant herpes hang over every elephant stable like the sword of Damocles. In the last few years, elephant smallpox has been observed primarily in Germany. 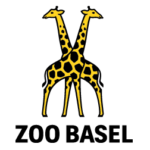 Luckily, elephants in Switzerland have been spared this illness up until now. 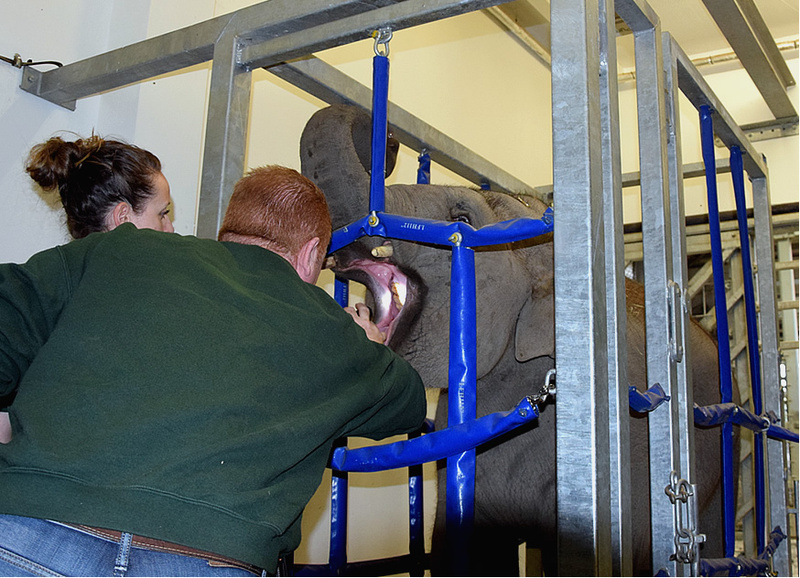 Tuberculosis spelt the end for elephant cow Thaia in Zürich Zoo. For inexplicable reasons, 30-year-old Thaia’s health deteriorated so chronically within two years that she had to be put to sleep. During the autopsy the pathologists soon found out that tuberculosis was responsible for the rapid decline in the formerly strong elephant cow’s health. Herpes is a general term for skin diseases involving groups of small blisters with serous content. They are mostly caused by a fungal or viral infection. One of the harmless herpes viruses is the one that causes fever blisters in us humans. 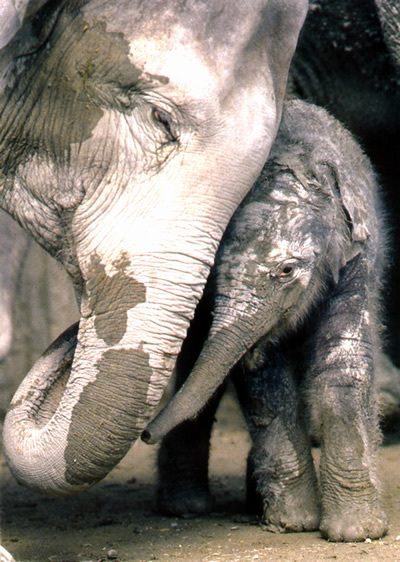 Very dangerous, especially for young elephants, is the EEHV. How many young elephants died in Europe? Can elephants be inoculated against herpes? Lohimi and Xian had been stricken by the extremely dangerous elephant herpes virus. These herpes viruses have not been classified yet, and it is also not possible to cultivate them. That is the basic pre-condition, however, for developing a vaccine. The herpes virus breaking out is often associated with stress. The three young elephants Lohimi, Xian and Aishu died when they were between the ages of two and three and a half years old. It is at this age that the process of weaning them from the mother’s milk begins. When, in addition, further excitement enters the situation, then this can trigger symptoms of stress which favour the breaking out of the herpes virus. Lohimi was separated from her mother very early and integrated into circus performances. Xian was happy about the arrival of the new elephant cow Indy, who came to Zürich Zoo from Circus Knie. After her arrival he hardly had a quiet minute anymore. Together with the young elephant cow he was continually moving around. Aishu suffered under the social tension between Zürich Zoo’s elephant cows. On account of the restricted space available in the inner stable, there are confrontations and fights continuously, lasting all night, in which his mother Ceyla is strongly involved. Did the three young elephants die quickly? The herpes virus caused innumerable small bleedings in Xian’s small intestine, atrium of the heart and in the heart itself. It was these many small bleedings that caused Xian’s sudden death. With Lohimi and Aishu it took just under two days from the moment that it was noticed that she was somehow not alright until her death. With Xian we noticed that he was ‘tired’ in the morning. It seemed to us that he had not slept enough. Five hours later, at noon, he was already dead. Can all elephants get herpes? It has been noticed that the elephant herpes virus is found mostly in zoos in which both African and Asian elephants are kept. It seems that African elephants carry the virus in them, but are resistant against it. 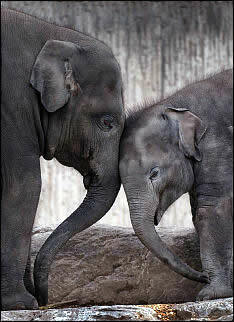 Asian elephants, however, cannot develop anti-bodies and that is why the viral illness can break out in them. The infection thus takes place by direct or indirect contact with African elephants. Such contact, naturally, will take place in practically every zoo. How was the virus transmitted? 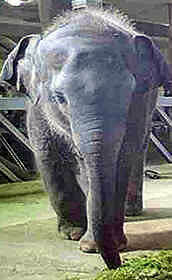 Before she was given to Basel Zoo Malayka lived together with Asian elephants for a few years in Circus Knie. Maxie, the Zürich breeding elephant bull, also lived together with African elephants in Chipperfield Circus in Britain and appeared in the arena with them. Additionally, elephant keepers and other zoo animal keepers also travel to other countries and zoos, and may come into contact with African elephants and their keepers there. Is herpes always deadly for elephants? The tragedy is that the illness affects primarily young animals like Lohimi, Xian and Aishu or older and weaker elephants. Some Asian elephants who got herpes virus infections could be treated successfully. The course of the illness was less acute with these elephants, however, in contrast with Lohimi, Xian and Aishu. Unfortunately, the virus cannot be completely eliminated by treatment, and a later re-infection of these ‘cured’ elephants is possible at any time.